1. The most beautiful people we have known are those who have known defeat, known suffering, known struggle, known loss, and have found their way out of the depths. These persons have an appreciation, a sensitivity, and an understanding of life that fills them with compassion, gentleness, and a deep loving concern. Beautiful people do not just happen. 2. The ultimate lesson is learning how to love and be loved unconditionally. 3. There is within each one of us a potential for goodness beyond our imagining; for giving which seeks no reward; for listening without judgment; for loving unconditionally. 4. It is very important that you do only what you love to do. You may be poor, you may go hungry, you may live in a shabby place, but you will totally live. And at the end of your days you will bless your life because you have done what you came here to do. 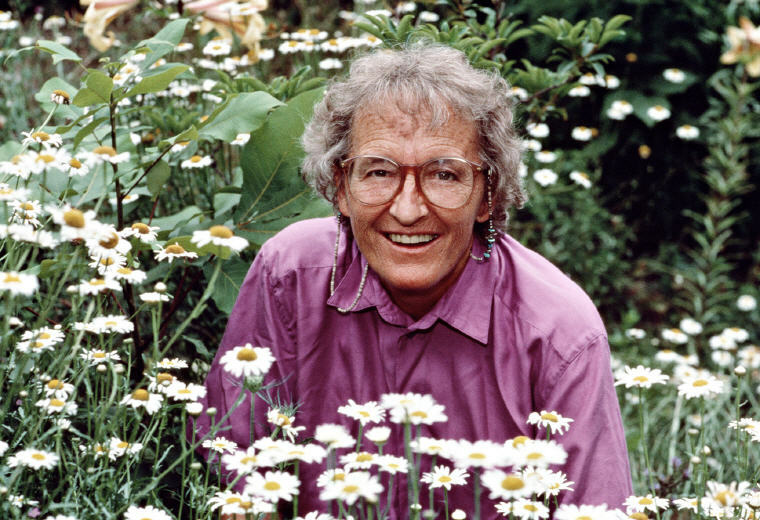 Excerpt from Wikipedia: Elisabeth Kübler-Ross, M.D. (July 8, 1926 – August 24, 2004) was a Swiss American psychiatrist, a pioneer in near-death studies and the author of the groundbreaking book On Death and Dying (1969), where she first discussed her theory of the five stages of grief. 1. People are like stained-glass windows. They sparkle and shine when the sun is out, but when the darkness sets in, their true beauty is revealed only if there is a light from within. 2. We make progress in our society only if we stop cursing and complaining about its shortcomings and have the courage to do something about them. 3. The opinion which other people have of you is their problem, not yours. 4. Learn to get in touch with silence within yourself and know that everything in this life has a purpose. There are no mistakes, no coincidences; all events are blessings given to us to learn from. There is no need to go to India or anywhere else to find peace. You will find that deep place of silence right in your room, your garden or even your bathtub. 5. When you learn your lessons, the pain goes away. 6. As I pass from this world to the next, I know that heaven or hell is determined by the way people live their lives in the present. The sole purpose of life is to grow. 7. All the hardships that come to you in life, all the tribulations and nightmares, all the things you see as punishments from God, are in reality life gifts. They are an opportunity to grow, which is the sole purpose of life. 8. You cannot heal the world without healing yourself first. 9. Dying is nothing to fear. It can be the most wonderful experience of your life. It all depends on how you have lived. 10. How do these geese know when to fly to the sun? Who tells them the seasons? How do we, humans, know when it is time to move on? As with the migrant birds, so surely with us, there is a voice within, if only we would listen to it, that tells us so certainly when to go forth into the unknown. 11. As far as service goes, it can take the form of a million things. To do service, you don’t have to be a doctor working in the slums for free, or become a social worker. Your position in life and what you do doesn’t matter as much as how you do what you do. 12. Those who have the strength and the love to sit with a dying patient in the silence that goes beyond words will know that this moment is neither frightening nor painful, but a peaceful cessation of the functioning of the body. 13. Watching a peaceful death of a human being reminds us of a falling star; one of a million lights in a vast sky that flares up for a brief moment only to disappear into the endless night forever. 15. It is not the end of the physical body that should worry us. Rather, our concern must be to live while we’re alive–to release our inner selves from the spiritual death that comes with living behind a facade designed to conform to external definitions of who and what we are. 16. Every individual human being born on this earth has the capacity to become a unique and special person unlike any who has ever existed before or will ever exist again. 17. I’ve told my children that when I die, to release balloons in the sky to celebrate that I graduated. For me, death is a graduation. 19. We think sometimes we’re only drawn to the good, but we’re actually drawn to the authentic. We like people who are real more than those who hide their true selves under layers of artificial niceties. 1. Should you shield the valleys from the windstorms, you would never see the beauty of their canyons. 2. I didn’t fully realize it at the time, but the goal of my life was profoundly molded by this experience – to help produce, in the next generation, more Mother Teresas and less Hitlers. 3. We need to teach the next generation of children from day one that they are responsible for their lives. Mankind’s greatest gift, also its greatest curse, is that we have free choice. We can make our choices built from love or from fear. 4. I believe that we are solely responsible for our choices, and we have to accept the consequences of every deed, word, and thought throughout our lifetime. 5. It’s only when we truly know and understand that we have a limited time on earth — and that we have no way of knowing when our time is up — that we will begin to live each day to the fullest, as if it was the only one we had.